US border agents seized a large haul of counterfeit Durex condoms during a five-day operation in Puerto Rico. Around 40,000 fake condoms shipped from China were intercepted by Customs and Border Protection (CBP) and the Homeland Security Investigations (HSI) division of Immigration and Customs Enforcement (ICE) and officials from the Food and Drug Administration (FDA). Durex brand condoms are sold by Reckitt Benckiser and have a 26 per cent market share with more than a billion in its sold every year, making them a target for counterfeiting. 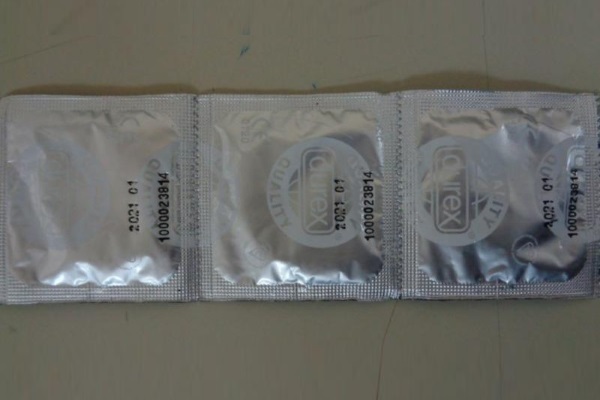 In 2015 counterfeit Durex brand condoms were found being sold by discount website Groupon in Australia, for example, and there have also been recent cases in the UK, China and Poland. Counterfeit condoms are typically made of inferior quality materials and do not undergo the same rigorous quality control checks as legitimate products. That raises the risk of unwanted pregnancies and infections among users," according to the CBP, which adds the fakes "may contain substances that could lead to long-term health problems." Realising that Puerto Rico is a point of entry for counterfeits that find their way into the US, ICE and CBP set up the a Trade Enforcement Coordination Center (TECC) in the capital San Juan in January 2017 to take the fight to the illicit good importers. It’s the tenth TECC to be set up by the US to combat fraudulent foreign trade. "The trafficking of counterfeit goods is simply illegal and in some cases, as this, it becomes a problem of public health," said Ricardo Mayoral, the special agent in charge who oversees HSI operations throughout Puerto Rico and the US Virgin Islands. "This illegal activity represents a triple threat as it delivers substandard and often dangerous goods into the economy, robs citizens of good-paying jobs, and generates proceeds that are often funnelled back into other criminal enterprises." The San Juan TECC will initially focus on "identifying violations in the areas of misclassification, under evaluation, free trade zone fraud, free trade agreement fraud, trans-shipment, trade-base money laundering and broker compliance," said the CBP in a statement. It will also pursue both criminal and civil litigation against transgressors.